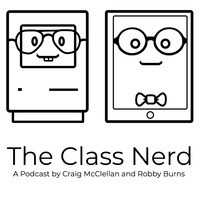 Robby and I are busy planning Semester 2 of The Class Nerd Podcast which will definitely include content on iOS 12 and Siri Shortcuts. But I had 2 really good use cases for the Shortcuts app in my classroom recently, and thought it would be fun to go ahead and share them. The first is a classic automation passing information between apps. As I have previously stated, I am once again planning all of my lessons inside of the amazing note-taking app, Bear. After listening to a recent episode of Automators, I wanted to make a task template for my big unit planning. This creates a task in Things reminding me to plan the unit with a link to the MindNode 5 file I use for my initial planning, and also creates the Unit Overview note in Bear with a link to that MindMap as well. All I have to do is enter the Math Unit 2 or Science Unit 4, and Shortcuts does the rest. The other Shortcut I made today took 5 minutes to work out, and saved me probably 30 minutes just today. My room mom needed a list of email addresses for parents of my students. Fortunately, I already had a contacts group on iOS for the class, so I created a Shortcut that read all of the contacts in that group, input their last name, first name, email address, and child’s name into a text block separated by commas. I then saved this whole document as a CSV file which both Excel and Numbers can read. I opened it in Excel, converted it to an Excel spreadsheet, and sent it to my room mom. No going through 30 emails address and typing them up manually. It happened for me at the touch of a button. This is the kind of power that the Shortcuts app has, and it will only get more powerful when iOS 12 releases and developers are able to embrace Siri Shortcuts even more. Solutions like this are exactly why I’m so passionate about using technology to get my job done and why Robby and I started The Class Nerd Podcast. This saved me real time on the job, and I hope all teachers are able to find ways to use these tools.